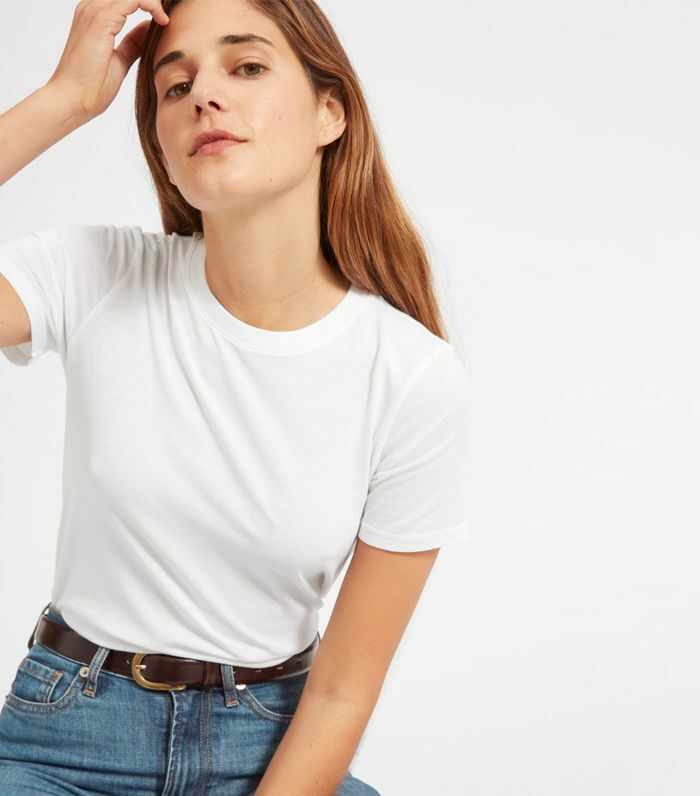 If there's one thing Everlane knows how to deliver, it's quality basics, and what good is having all the essentials if you're not going to show them off with your favorite pair of jeans? Not that you asked, but I've already started doing a refresh on my fall basics, including everything from T-shirts to loafers, and you'd better bet that my first shopping destination was Everlane. Ahead, shop 20 of Everlane's finest pieces that I plan on wearing with all of my favorite pairs of jeans this season. If you're a denim gal, this story is basically a dream come true. Here you can shop the best of the best available at Everlane right now to ensure that your fall wardrobe has all the basics covered. We're talking ankle boots, sweaters, and even chic new underwear. Yeah, Everlane really does have it all. A white T-shirt is the best friend of all your jeans. Wear these with socks when the temperatures drop. Wear this with your jeans and then some. TBH, you can never really have enough underwear. The perfect jacket to wear over all your T-shirts or to layer underneath a heavier coat. A classic, to say the least. Don't lie—this color is giving you life too. Wear it as a top; wear it as a bra; the choice is yours. Cardigans are the layering pieces that will come in so clutch this fall. A tee for when your white shirts are dirty. The Canadian tuxedo will always reign supreme. Black ankle boots to last you all season? Check. I love the look of an oversize button-down paired with skinny jeans. FYI: I plan on wearing this with way more than just jeans. Just some shoes for loafin' around in. Throw this over your shoulders for that chic third piece. Throw this over your shoulder for a little pop of color. The fashionable way to wear sweatpants. Stripes are a print you'll never tire of. Next up, find out which item the fashion crowd isn't wearing anymore.